With Project XJ6 still demanding my attention, and another massive non-automotive project on the horizon, I need another fixer-upper car like I need more holes in my head. 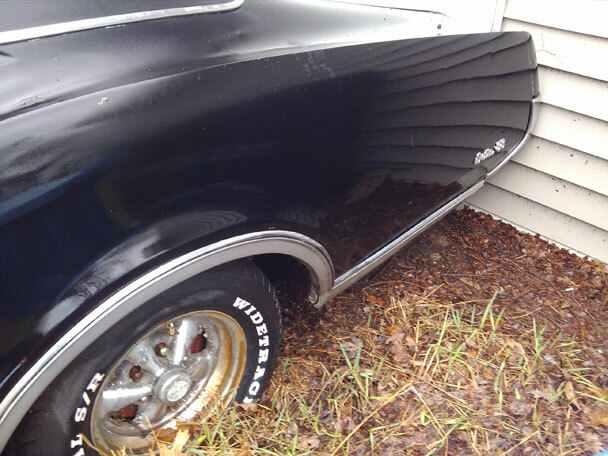 But if it really was a straight, clean Olds coupe for $1200, who am I to say no? Granted, there are a few red flags here. It looks like it’s been sitting in that spot for some time. The ad is two days old (if it was really that prime, it’d be gone by now… right?). The picture is too small to confirm any of their claims about condition. Details? There are, of course, very few being presented. It’s also a bit ominous that they refer to it as a “restoration project”. The car was about 90 miles from me. Still, it was a rainy Sunday afternoon, and I didn’t have anything else planned for the day. Why not check it out? Of course, the first step was to get in touch with the owner. Immediate dead end: the phone number listed was disconnected. This raised my hopes a bit… perhaps a typo in the number, or some other phone snafu, was the reason it hadn’t sold. Fortunately, the area this car was claimed to be in was pretty small. 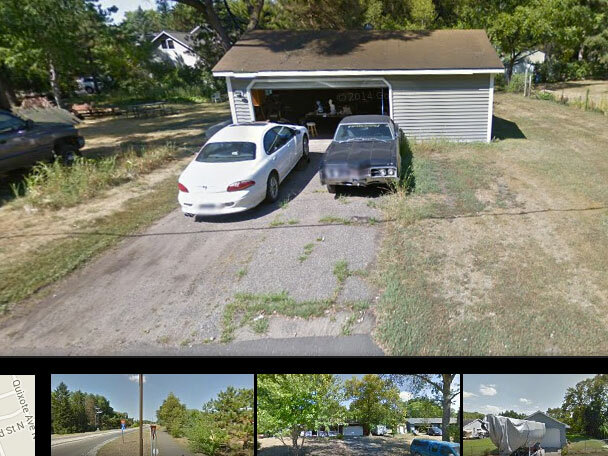 It only took me about 15 minutes of Googling to find the house, get the address, and even pull the car up on Street View. The images Google had were only eight months old – and featured the car prominently. Hooray! Unfortunately, I couldn’t make out any other details of the body from this nose-first shot. But I could pick out another worrisome detail: the “FEAR THIS” sticker across the windshield. Looks like we’ve got a former punk-mobile on our hands. Never a good sign. Still, I was itching to get out of the house – so with address in hand, I decided to drop by and see what I could see. Upon arrival, I was simultaneously glad and worried to see the car still present. If it was really that sweet, wouldn’t a neighbor, friend, or other off-line searcher have grabbed it by now? As is so often the case, my first guess was correct. This is not what I’d consider “good condition” sheetmetal. Though my cellphone failed to capture such detail, there was indeed more Bondo than steel in this shot. Also, check out the mags – it’s flake city on the chrome finish of these Cragars. I didn’t want to pop any doors, so this interior shot is likewise useless. What you can see is trashed vinyl, and a dash that’s been partially covered in red velvet. What you can’t see is the massive mouse nests throughout. You can have mine. Since my hope was for a car with a presentable body and mechanical ailments, one which could be quickly revived and (enjoyed, sold), this was not the deal I needed. I could have scrutinized it further – but why bother? There was nothing here for me. All in all, it looked like I had managed to be first in line for a rolling disaster. Sure, it’s a sharp-looking car (especially when standing 20 feet back), but I suspect this one will become someone’s parts donor at best, and crusher fodder at worst. Hopefully some dedicated Olds fan can get the price back down to Earth and save what remains of it. $1,200 does seem high, but there does seem to be a lot of good parts here, and maybe a restorable and hard to find top end Delta 88 coupe. The seller’s starting point seems okay, he may have to tweak it a few times to get it sold in a timely manner. Cool car to bring back if it is possible. Reminds me of the time I went to check out a 1972 Camaro based on an ad in the local Auto Locater. Which was the truth. The dent, unfortunately, was about five inches wide and ran continuously from just behind the passenger side front wheel to the back bumper. And then there was the interior that looked as though it had been left under water for about a week. I went to see a Ford Granada(European Mk1) which was described as” fair condition” one elderly owner from new.Not a single panel was dent or scrape free,the elderly owner parked by touch. That beaky front end looks a lot like the early 70s Mercury snout.A pity it’s such a minger as it would have been a nice looker.I took the easy way out with classic cars(they were used cars then) and bought something running in good condition and kept on top of it.You must have a very understanding wife Keith,my brother’s girlfriend limits him to 1 working bike,1 working car 1 project! Years back I was tempted to buy a rather cheap MGB hardtop in my home town. Visiting it, I was appalled to note that not only was it canary yellow, but the paint looked like it had been applied with a broom. Walked away sad but happy to have kept my pennies in my pocket. 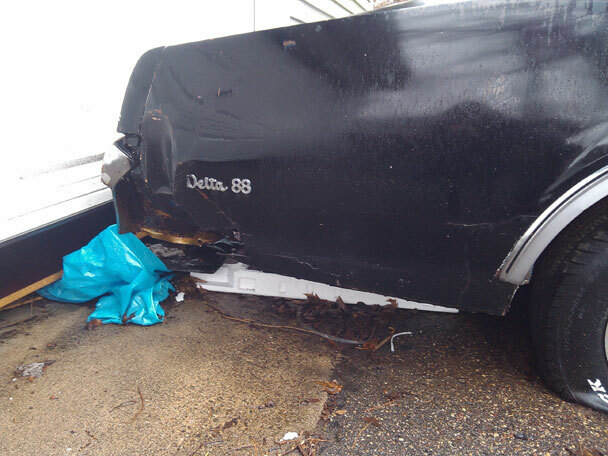 Two weeks later I passed the same machine……burnt out on the side of the road. Whoops, that was a close call. Still hunting for a fuel tank. Beginning to entertain thoughts of fuel cells. Hopefully I’ll get an update together for next week. Way back in the good old days you could buy a liquid product in the UK that sealed a leaky tank. It still seems to be available. What about this product Keith? My mate Paul swears 3M’s 5200 is his ‘bodges choice’ for fixing ANY problems with a car. I once drove 45 minutes to check out what was promised (pre-internet print ad) to be a pristine 62 Mercury sedan that had been lovingly cared for by the owner’s grandfather. When I got there, I saw a car no better than this. 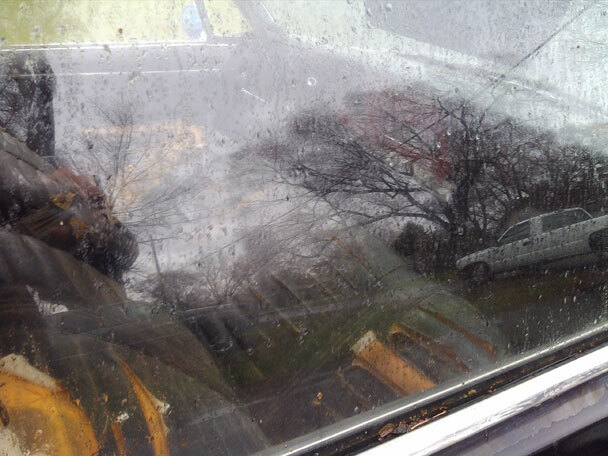 No headliner, ripped seats, badly pitted chrome, dull paint, rust in the usual places, and more. P.O.S. I like the Olds. I had never noticed that the 67 Delta used the same visual lowering trick as on my step-mom’s 68 Cutlass – the silver paint below the low moldings on the body sides. You know Minnesota cars better than I do, but that lower front fender doesn’t look bad for that many years in salt country. But probably some punk chucklehead got the car from grandma and destroyed it in the space of 4 years. Too bad. Looks like it’s been sitting over 10 years, as a ‘someday we’ll fix it up’ lawn ornament. The Olds 88 series had so many prefixes in the 60’s, but by 1971*, all were Delta 88. Some owners just called them ‘Deltas’ by the mid 70’s. Was glad to see Olds just call them Eighty-Eights, by coincidentally, 1988. I’m not sure what you were expecting for about a thousand bucks? Something pristine? Cars like this used to be $500 cars, but they aren’t anymore. As always, I was hoping for a lucky score. I’ve had a few – and you never know where the next one might be. The Chevelle I wrote up a couple weeks ago began as a picture-less craigslist ad… ’71, bad motor, needs TLC or good parts car, $700. Ended up being clean, straight, and a perfect motor swap candidate – and at a great price to boot. For the record, I don’t dislike this car. It’s just more of a project than I was willing/able to take on. Perhaps someone else who sees it will be feeling more ambitious. if it looks bad on the outside, it’s probably worse on the inside as well. “Restoration project” is code for “be prepared to spend $10,000 to fix up this heap”. Another red flag is “needs TLC” which is code for “total load of crap” Sellers will often say “rust free” when they really mean “you don’t see rust from 50 feet away” When a seller posts a misleading ad and lies to me over the phone I never mention the rust I find. If I do they usually say something like “what do you expect? it’s an old car”. But if they’re going to waste my time, I waste theirs. I go through my usual long and detailed inspection, take it for a test drive and then tell them I’m going to sleep on it. 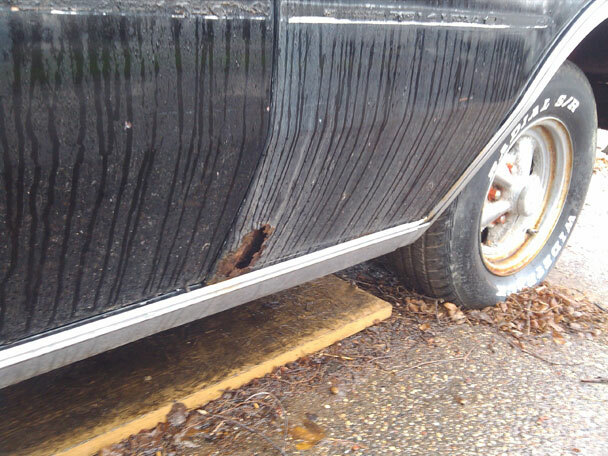 Another gem from unscrupulous sellers… ” Ran when parked”. Don’t you just love douchebag sellers ! My favourites are “For sale due to ill health” real meaning I’m sick of it.”Owned by enthusiast” real meaning I like football and pop music. How about “ready for restoration!” What does that even mean? Isn’t every crappy car “ready for restoration?” Nice euphemism. 99% complete,you can bet the missing 1% will cost a fortune if you’re ever lucky enough to find it! “Ran when parked” is the one that bugs me the most. You couldn’t have parked it if it wasn’t running. A_____e! “Ran when parked in 1953” at least offers a little information…. I’ve seen ads like that. I’m like “what kind of idiot would say that in their ad?” I would think the person would say something like “ran fine the last time it was used.” That would give a little more information. 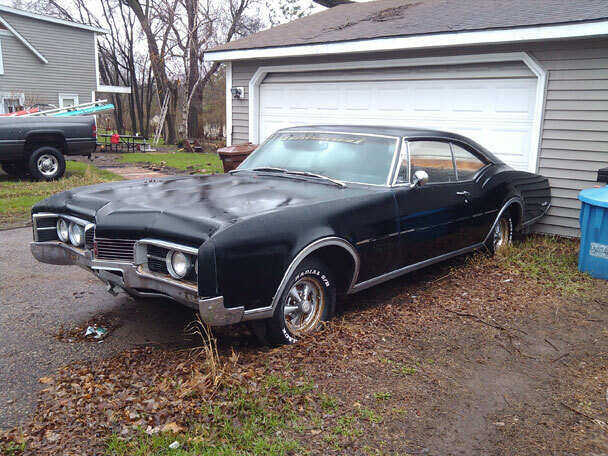 That Olds does need some work, but that price is pretty much in line with most slightly rough but complete pre-1975 “classic” vehicles that I’ve seen. Last summer I sold my 1968 Mercury Cougar, with no drivetrain and rear quarters full of rust and bondo, for $1000. I fully disclosed all of the car’s issues in my ad, and the buyer was more than agreeable to the price I was asking. Where are you located Keith? Where exactly is this car? If he drops the price down to $500 or $600, it might be worth a road trip. Have diesel pickup, will travel 🙂 . It’s near Stillwater, Minnesota (just across the river from Wisconsin). The ad is still running on the Minneapolis craigslist, by the way, renewed and with a corrected phone number. Could be $500-600. Start by calling local municipality and report unlicensed car with flat tires. Given the prospect of insuring and plating a car that no one wants, the price will drop dramatically. Either that or a $100+ ticket will appear along with a date for a city tow to impound. Not every municipality is so draconian about it. Some places actually still let you have a say about what you keep on your own property. Sadly these are becoming fewer and farther between. Shame this one didn’t pan out though. Pretty uncommon to see 88 coupes from this era. Heck, uncommon to see any Olds from this era. For some reason as far as late 60’s full-size GM products go, Buicks seem to have the highest survival rates at least from what I’ve seen on the road. Anyone making claims like the ones in that ad deserves to live in Stillwater. The minimum security unit should suffice! The look jogged a memory. Yes, Edward Kennedy took Mary Jo out in a 1967 Delmont 88. And, she never came out alive. Years ago I saw an online ad for a ’66 Chrysler 2-door hardtop. It said it was originally a west coast car, engine runs good, needs paint. It was local and the price seemed reasonable so I went to take a look. It may have been a west coast car once upon a time, but had since spent too many winters in Ontario. There were rusted-out holes all over the body. The seller said that was “an easy fix” and there was no frame rot. I promptly hopped back in my own Chrysler and left. 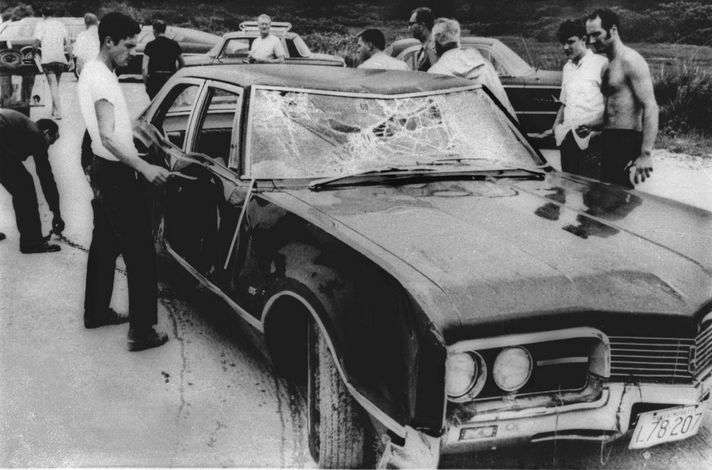 Is that the one Ted Kennedy drove into the water? I suspect if you offered $500 for the Olds, you’d have a reasonably decent chance of it being accepted. But it would be worth the $500 as a donor car for something else, and then only if there was something specific on it you needed. Otherwise, well, it’s pretty close to being headed for the boneyard. Ironically, if it had been a lower-tier Chevy Impala from the same year, the $1200 would be much more achievable. Hhhhhm it looks bad but until it’s up on a ramp you never know I’ve seen worse heaps brought back to life one of the worst was a 48 morris minor lowlight which had been sitting outside in sea air for 30 years 3years later it was full restored .it looked destroyed but was in fact complete and as with a lot of vintage american cars the steal was about 3 mil thick so that’s why it survived. Not too bad, the rust spots aren’t terrifying but having sat so long on flat tires I wonder what it looks like underneath. Considering that this one needs EVERYTHING it isn’t worth it at $1200, or even free, unless you happened to have a pristine 4-door that a tree fell on and intend to swap every good part over. > a pristine 4-door that a tree fell on and intend to swap every good part over. I know, I was thinking about those shots you posted of that poor thing. I look at my maple tree differently when the VW is sitting under it. To me, as long as a car isn’t too far gone to be restored. The chassis is solid, its body is in good condition, the seats haven’t been torn to shreds, but simply needs new oil, new tires, and a repaint, I’d be happy. 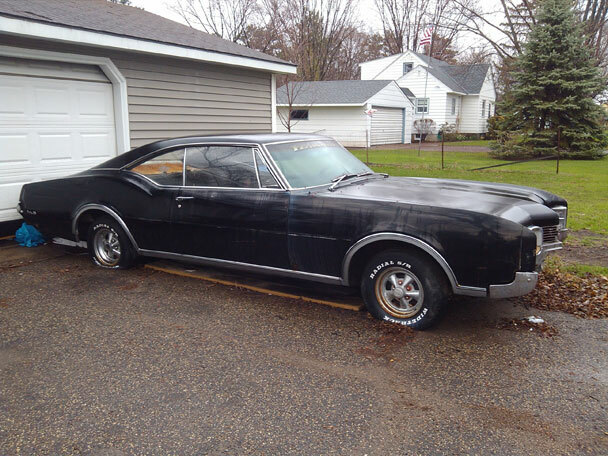 ’67 Pontiacs also have more ‘collectibility’ and would sell for $1200 or so, in this conditon. Especially Grand Prix’s. LOL. I saw the ad for that car too. And only a 45 minute drive for me. That ad raised a thousand red flags so I passed over it. Thanks for confirming what I thought.